VIDEOMeet Rick Klotz, the mastermind behind the new graphic tees collection by American Apparel. 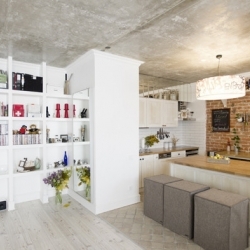 Vintage home in Kiev from Ukrainian designers. 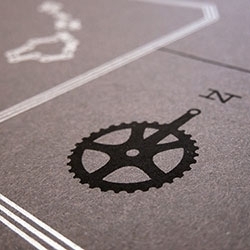 Ride Statewide, a screenprint to show off your bicycle appreciation no matter where you call home. 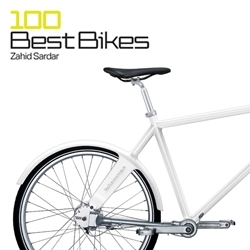 Designed by Mike Rogers and printed by The Half and Half. 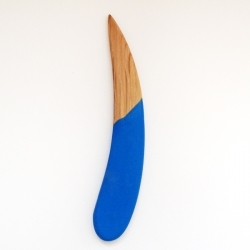 Oak&Rubber paper knife (Letter opener) by Itay Laniado. 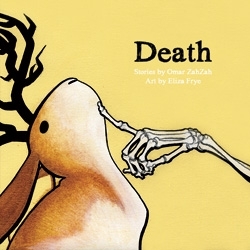 Death, a webcomic by Omar ZahZah and Eliza Frye. 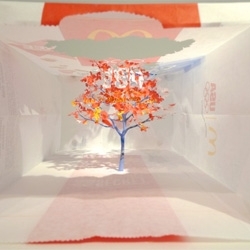 Yuken Teruya's trees made from paper bags at David B. Smith Gallery. 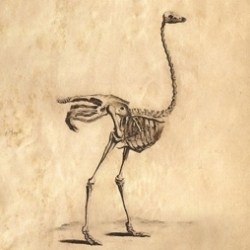 Anatomy prints from the 1500's. VIDEOJohn Smedley: representing Great Britain. 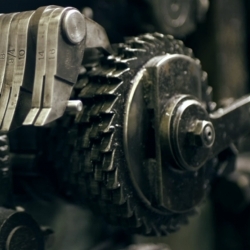 Follow the journey of a jumper from thread to finish in the oldest manufacturing factory in the world. 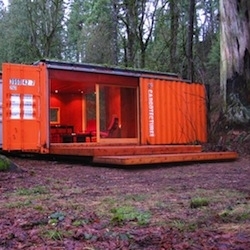 The Robinson Road house by Steve Domoney Architecture. 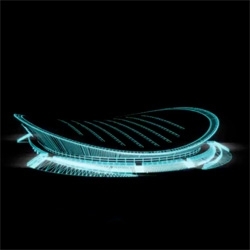 VIDEOA collaboration between British Electronic duo the Chemical Brothers and Crystal's three minute animated sequence for Velodrome. FINALLY! 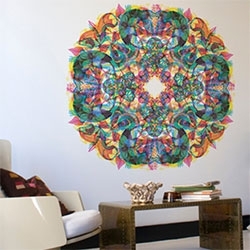 Carnovsky for Blik magical RGB nature inspired giant wall sticker mandalas are here! Three complex layers in each, depending whether you have red, green, blue lighting/glasses you see different things! German design studio Mango Design created the app 'be a bear' for VW. 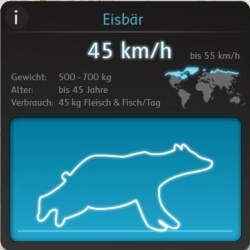 The app visualizes your actual speed in an illustrative way. 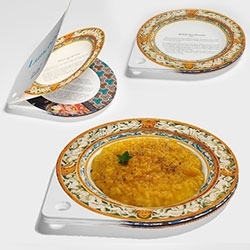 Lunchbook by Sebastiano Ercoli and Alessandro Garlandini - LunchBook is a recipe book made of paper dishes showing recipes from all over the world. Once a dish gets dirty, he can remove it and use the following dish. 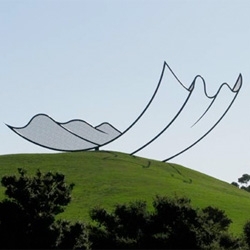 Amazing sculptures at Gibb’s Farm sculpture park in New Zealand. 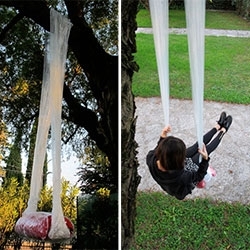 SwingPack (part of 01Mathery's idea a day for 100 days) - A swing made out of plastic wrap! 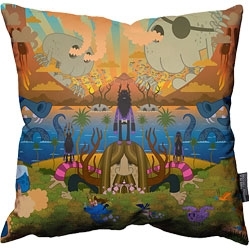 Limited Edition pillow from much loved Welsh artist Pete Fowler - welcome to Monsterism Island! 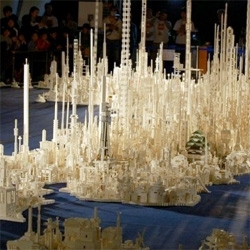 An impressive 1.8 million LEGO map of Japan. 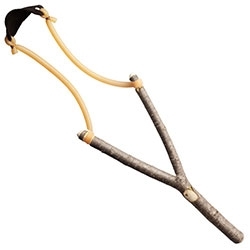 Nice wood slingshot from Kaufmann Mercantile! Handmade from buckthorn branches. Suede projectile pouch is affixed to natural latex tubing with waxed sinew. 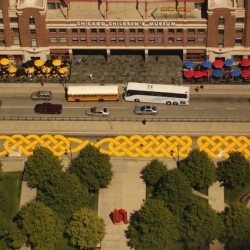 Made in Minnesota. 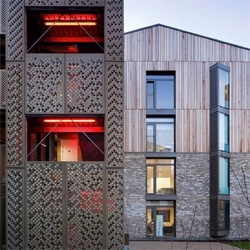 Beautiful new dorms for the Royal Veterinary College’s Hawkshead Campus designed by HawkinsBrown. 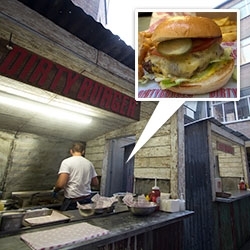 FEATUREDDirty Burger (& Dirty Breakfast) pop up in a back alley behind Soho House, London. For now, London's latest burger joint is on the move, popping up across the city, but is getting ready to open a more permanent home at the end of August! 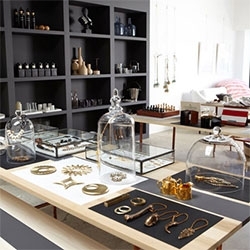 Cool Hunting takes a peek inside the new LA store, GARDE. 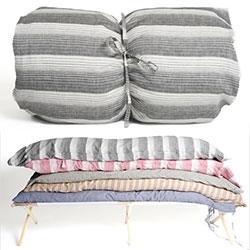 The owner, Scotti Sitz, loves to fill her store with things that are modern and natural. “Signs, Fines & Cheap Wines” fits the character of Barcelona-based street artist Max “RIPO” Rippon. 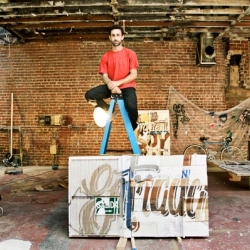 Studio visit as he prepares to open a new show at San Francisco's White Walls. 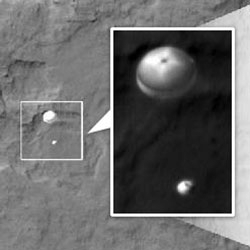 HiRISE camera aboard NASA's Mars Reconnaissance Orbiter captured the Curiosity rover still connected to its 51-foot-wide (almost 16 meter) parachute as it descended towards its landing site at Gale Crater. 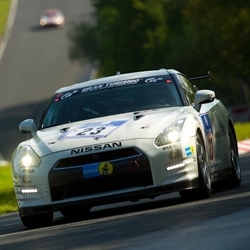 VIDEOThe Evolution of GT-R from Nissan is an inspiring story of a small group of engineers competing in the the Nürburgring 24 hour endurance race. 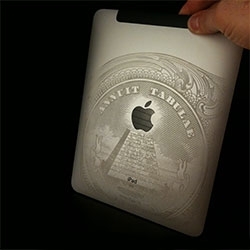 Wow "Reddit, I spent countless hours tracing a dollar bill in Illustrator to make this engraving for my iPad. Vector file in comments!" 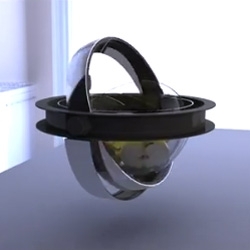 VIDEOThe Baffler! 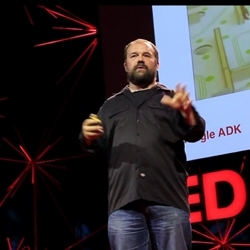 iPad app by Chris Yates is the digital version of 15 of his amazing puzzles. Each of his physical puzzles is unique and made by hand, and now you can race the clock putting them together on your iPad. 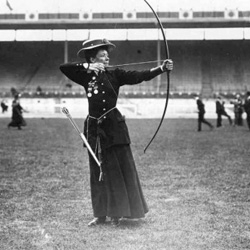 Looking back at these photos from the 1908 London Olympics reminds us how much has changed! 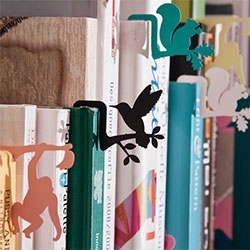 Jungle Bookmarks ~ that also help you pull books out of your bookshelf. 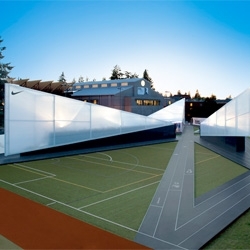 Designed by DCell in Korea. FEATUREDExploring the Gobi Desert, the wilderness of Antarctica and private safari lodges are all part of this week’s roundup from NotVentures. 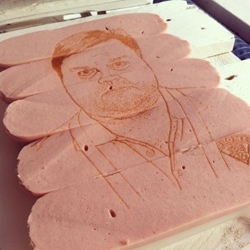 Portrait of a former finnish ice-hockey player laser engraved on sausages. Portrait/design by Aapo Mattila. 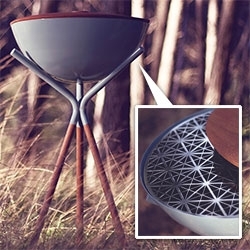 Engraved by the Laser Cut Studio in Helsinki, Finland. 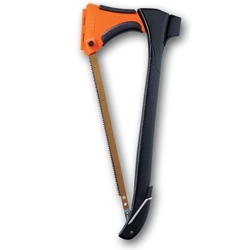 Zippo's newest product; the 4-in-1 Woodsman is a 5 inch hatchet, mallet, stake puller, and bow-saw all together in a clever design. 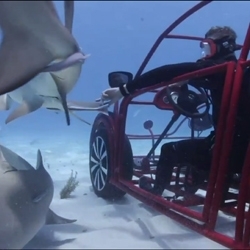 VIDEOVW teams up with the Discovery Channel to make a custom Beetle shark cage. The car drives on the floor of the ocean via propellers and is an awesome underwater advertisement for VW. 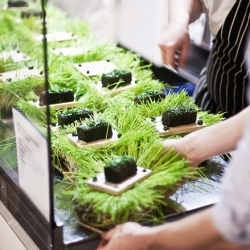 Designgoat's curated dinner in Dublin's Science Gallery was designed so each course would reflect a time or place in the city. This fascinating spinning top by Alex Buckman lets you create beautiful images with its interchangeable different coloured tips. 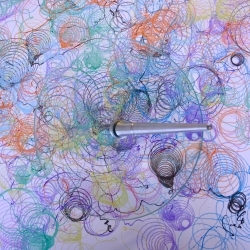 The glass plate allows you to see what you draw while you spin! 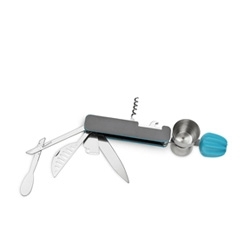 The BAR10DER, a modern, multi-tool for bartenders including the muddler, standard and channel knives, reamer, jigger, zester, stirrer, strainer, corkscrew, and bottle opener. 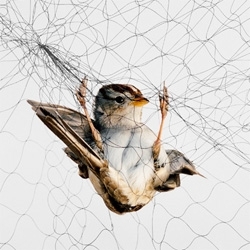 FEATUREDBeautiful birds in awkward positions, photographer Todd Forsgren captures birds traps in mist nets (think spiderweb fences) for research. The 'Innovative Laser Device For Cutting Of Foodstuff', a winner of the James Dyson award by Andrey Kokorin is a laser knife that can cut your food in any shape. 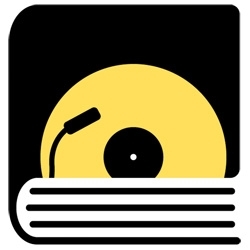 Literary Jukebox, a daily quote from a favorite book, thematically matched with a song. 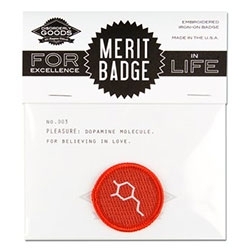 Great side project from Maria Popova. 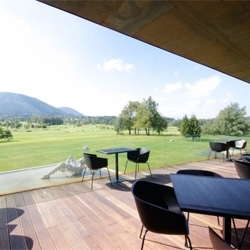 The Miura Hotel in Čeladná, Czech Republic by Labor 13 architects. 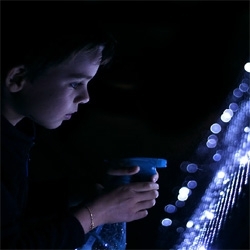 VIDEOThe Water Light graffiti system by Antonin Fourneau, a surface made of thousands of LED illuminated by the contact of water. 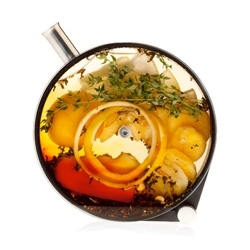 The Porthole by Martin Kastner of Crucial Detail design studio is a simple and beautiful infusion vessel that can be used for cocktails, oils, teas, or any infusion imaginable. 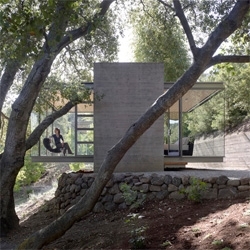 Beautiful Tea Houses in northern California by Swatt Miers.